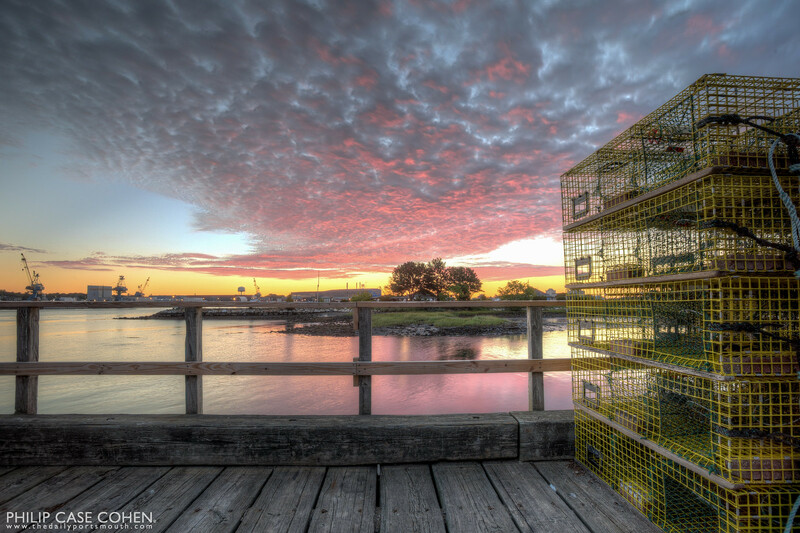 There’s nothing like a summer sunset at day’s end in Portsmouth from the decks! The sun retreats behind the massive salt piles and leaves a beautiful glow in the sky, often creating dramatic scenes with the summer clouds. 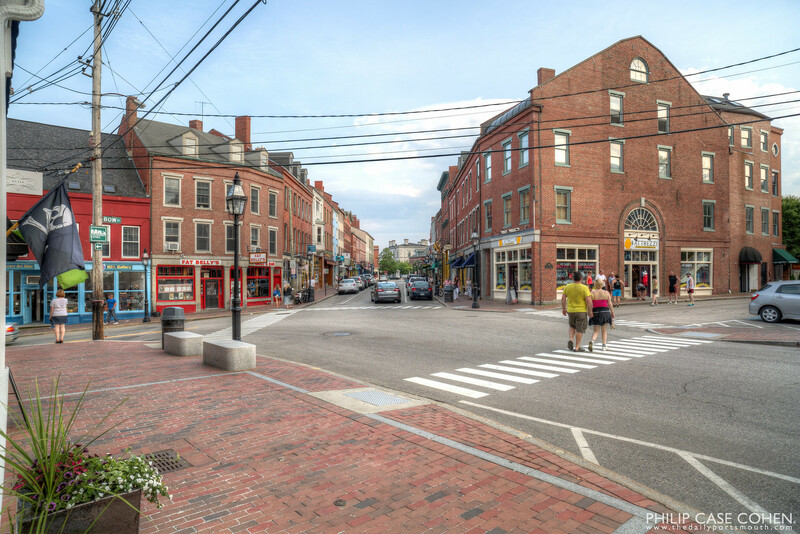 Looking down Market Street on a beautiful Portsmouth afternoon. 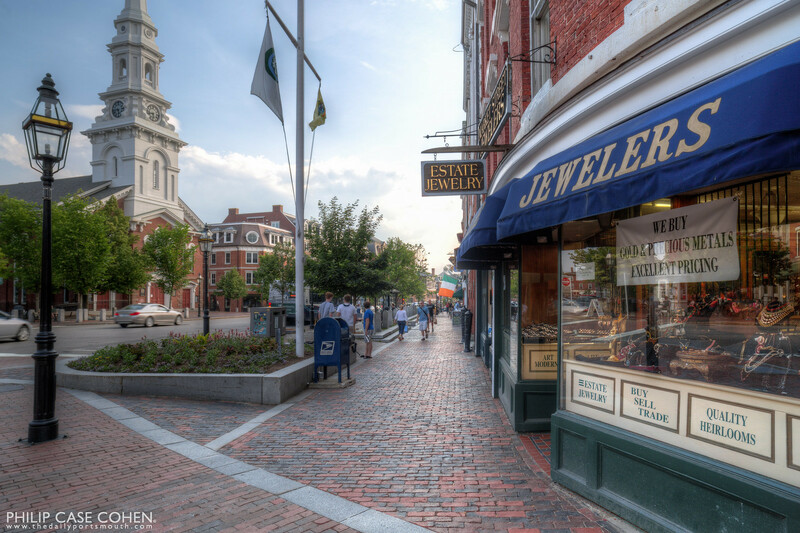 I’ve always loved how the old brick buildings that line the street frame the Custom House in the distance. 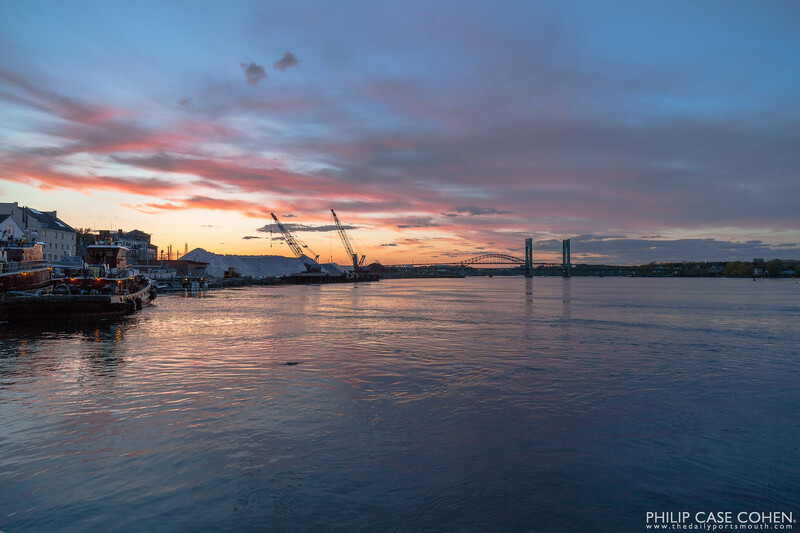 A classic waterfront scene of Portsmouth at dusk. This was taken the same day as the previous post after the sun had set. 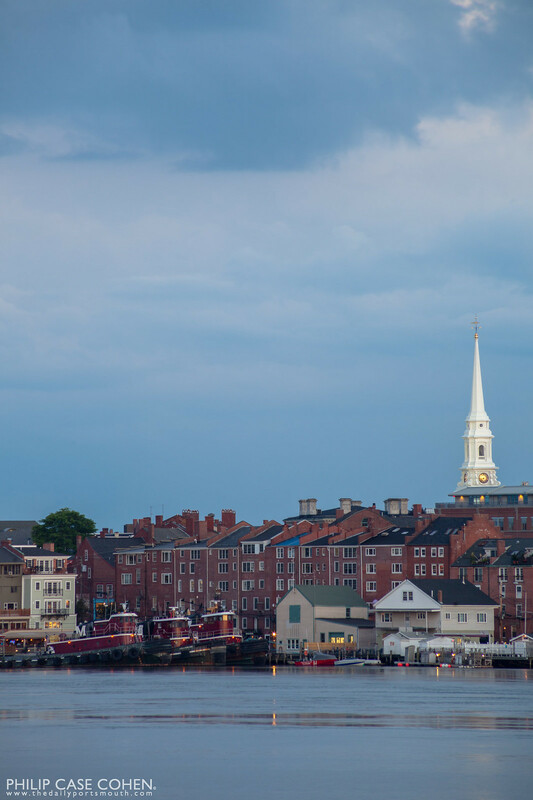 The scene is dominated by red brick and the reflections of the sky in the water – two of my favorite things about Portsmouth. More to follow in this storm series next week! 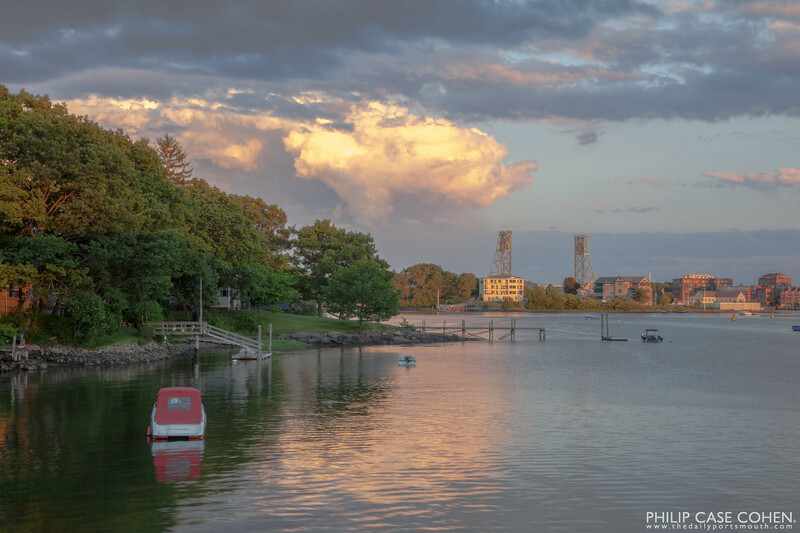 With the summer weather nearly here, we should start to see more incredible sunsets on the seacoast and more thunderstorms as well. 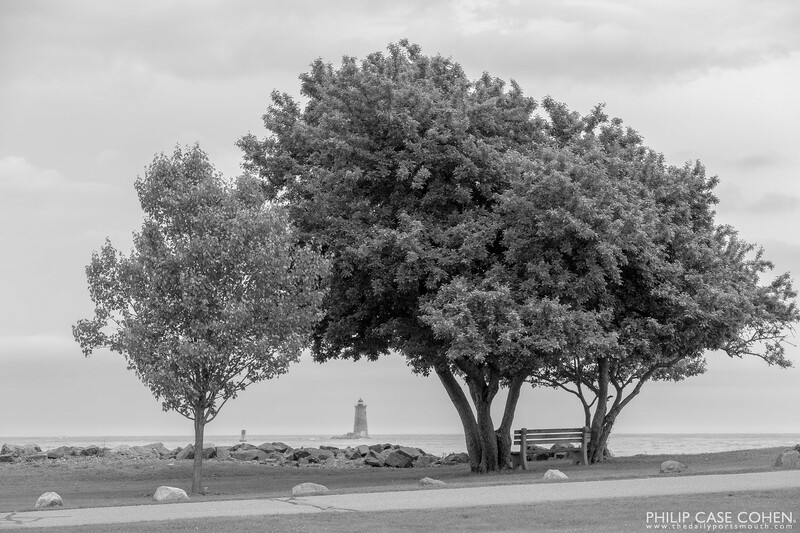 This view of Portsmouth from Kittery was taken just after the clearing of intense thunderstorms a few years back when the old Memorial Bridge loomed over the Piscataqua River. The soft oranges and the covered boat in the foreground made this image stand out among the archives.